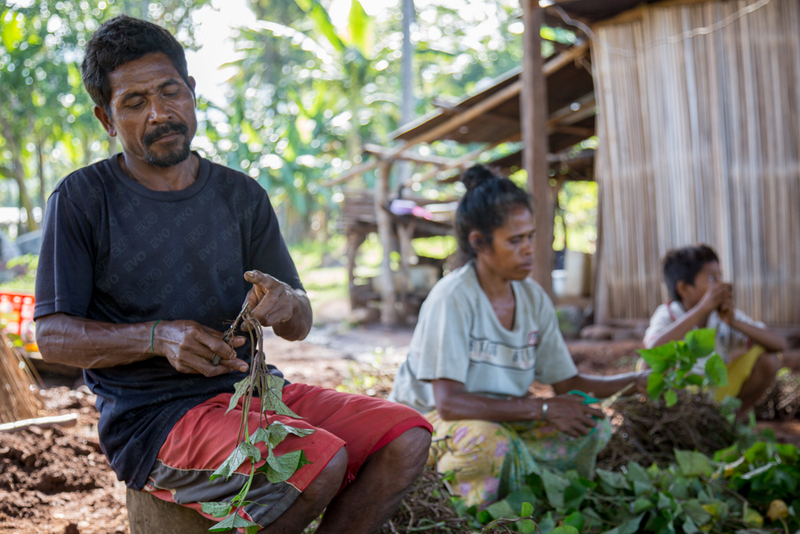 (Tetum) Ministry of Agriculture – Seeds of Life has been distributing more than 100,000 sweet potato cuttings to farmers and Community Seed Production Groups (CSPGs) across Timor leste, as well as local and international NGOs. MAF-SoL will continue to distribute around 250,000 cuttings of Hohrae 1, 2, and 3 officially-released sweet potato varieties by the end of January 2014. Centre of sweet potato cutting distribution at suco Ritabou, Maliana district. Damiao Boemau, a contracted seed grower, prepare the sweet potato cutting from his field. Asep Setiawan, a MAF-SoL Source Seed and Quality Control Advisor, says that since the distributions began in October last year, to date MAF-SoL has covered almost all of Timor Leste’s districts. The aim of the distribution is to increase the adoption of improved food-crops varieties released by MAF-SoL among Timorese farmers in order to achieve the program goals. 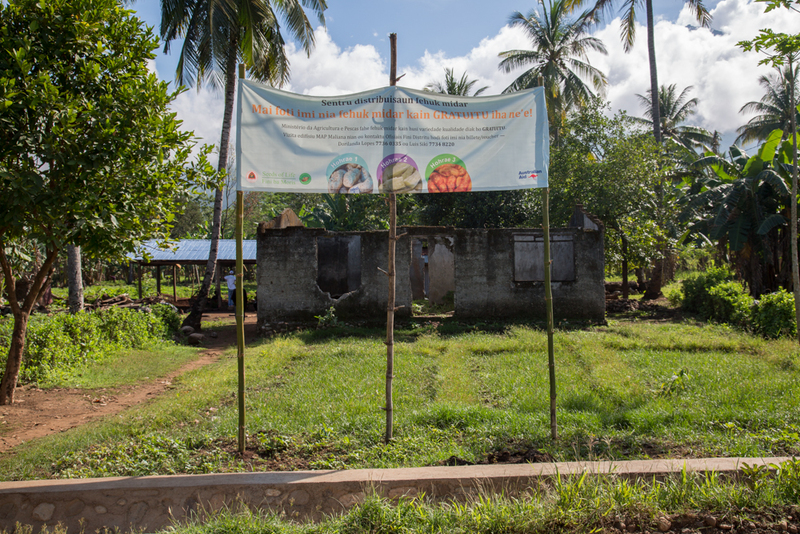 The cuttings are provided by three MAF-SoL research stations in Baucau, Loes, and Betano districts, and also form four contracted seed growers in Baucau, Bobonaro, and Aileu districts. A contracted seed grower in suco Ritabou, Maliana district, Damiao Boemau, has, so far, prepared 100,000 Hohrae 1, 2, and 3 to be distributed to farmers in Bobonaro district. “Today I prepared 1,000 sweet potato cuttings to give to selected farmers in suco Ritabou,” Damioa says, “Each farmer will receive 200 cuttings”. Damiao become a MAF-SoL contracted seed grower in 2010. Starting with three plots, Damiao now has twelve plots of Hohrae 1, 2, and 3 varieties. Farmers and farmers groups, or any interested institution, that would like to access sweet potato cuttings can send a request to MAF-SoL district offices, MAF Seed Department or contact the relevant SoL component.